The reason A Very Simple Game exists is to make “advanced analytics” more accessible to the general fan. Because so many of the writers and analysts out there are working from an academic, mathematical, or economics background, the terminology used can often be more confusing than it needs to be. We’ll be using a more general terminology where possible, but there are a few terms that are so specific and well-suited to their purpose, that there really isn’t a great alternative. What follows is a glossary of commonly used terms and the major stats used in the site’s analysis. Analytics: The science of extracting meaning and understanding from data. Analytics can be simple (“A player hitting .300 is a better hitter than one hitting .200”) or it can be complex (e.g., the calculations that go into figuring out WAR). Metric: A fancy way of saying “statistic.” Literally, a metric is anything that measures something. Sabermetrics: The umbrella term for the use of advanced statistic to analyze baseball. 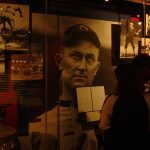 Named after SABR – the Society of Advanced Baseball Research – the pioneering organization for the use of complex statistical analysis in baseball, “Advanced Baseball Statistics” and “Sabermetrics” are essentially interchangeable. Quantitative Analysis: Analysis based in numerical measurements. Saying Pete Rose was a better player than Ty Cobb because he had more career hits is a quantitative conclusion (it’s also a great example of the limits of simple quantitative analysis). Qualitative Analysis: Analysis based in evaluating the meaning behind a given situation (i.e., the “why” & “how”). Saying Ty Cobb was a better player than Pete Rose because, while Rose had more career hits, his career was also longer than Cobb’s and thus his hit total is less meaningful, is an example of a qualitative conclusion. All-Time Great: A player who is in the top 10 players at his position or the top 50 overall in the modern history of the game (i.e., 1901-present). These are the pantheon players and (by performance, at least) all Hall of Fame worthy. Generational Great: A player in the top 5 players at his position or top 25 overall of the roughly 20 years surrounding his career. E.g., In examining a player that played from 1993 to 2007, his generation would be the players whose careers primarily ran from 1990 to 2010. A Generational Great is usually a Hall of Fame player (and is, at the very least, someone worth of conversation). Speed Adjusted Slugging (SaSlg): Slugging adjusted for stolen bases & grounding into double plays. It is used to even out the comparison between heavy power hitters (e.g., Miguel Cabrera) and guys with a good power speed balance (e.g., Andrew McCutchen or Mike Trout). Whereas slugging is total bases divided by at bats, SaSlg is (total bases + stolen bases – caught stealing*2 – double plays grounded into)/total bases. The idea is that a player that can “turn singles into doubles” with stolen bases has an “effective” slugging higher than his traditional slugging would indicate. 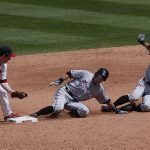 On the other side of the equation, a player that gets caught stealing or hits into a double play has lost his team an additional base (by either turning a single into a caught stealing or turning the baserunner into an out) that a faster player might not have. For a fuller explanation, see our rundown here: Speed Adjusted Slugging Explained. FIP & xFIP: Fielding Independent Pitching and Expected Fielding Independent Pitching. The two most prominent examples of a class of stats (called Defense Independent Pitching Statistics) that attempt to measure pitching performance while controlling for the effect of the defense of his team. FIP is calculated by looking at the outcomes a pitcher can control – homeruns, walks, and strikeouts – and uses a calculation to calibrate the result to a scale similar to ERA (to make it more accessible). A FIP of 2.50 is great, 3.50 is good, and so forth. xFIP attempts to improve on this by measuring the same outcomes, but instead of counting the number of homeruns a pitcher actually has given up, uses the number the pitcher would have given up if his fly balls “turned into” homeruns at a league average rate. This adjustment is made because the rate at which pitchers give up homeruns is highly variable and thus a factor of luck more than pitcher skill (at least in theory). By calibrating the number to the league average rate (which is relatively consistent), xFIP seeks to better represent pitcher performance. OPS+ & wOBA: OPS+ is “adjusted OPS” (On-base Percentage + Slugging) and wOBA is “Weighted On-base Average”. Both stats attempt to measure a players hitting contributions relative to the league average. Neither stat considers defensive contributions nor adjusts for the player’s positional value. Both of these stats are weighted and thus both are useful for comparison across different years and different eras. 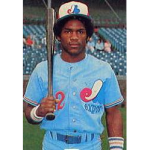 So, if we had a player who had an on-base percentage of .400 and a slugging of .500 while playing in a completely neutral ballpark. His OPS+ in 2014 would therefore be 100 * (.400/.314 + .500/.386 – 1) or 157. As a player, his on-base percentage is 27.3% better than the league average, his slugging is 29.5% better, and put together, he produces about 57% more runs than the league average player. 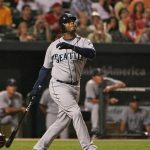 In 2014, our hypothetical player would have been 4th in the majors in on-base (just behind Jose Bautista and just ahead of Giancarlo Stanton) and 14th in slugging (just behind Matt Kemp and just ahead of Justin Morneau), and his OPS+ would have placed 7th (just behind Stanton & Bautista and just ahead of Michael Brantley and Anthony Rizzo). By now, non-adjusted OPS has become almost accepted as the classic triple crown stats and OPS+ is still a relatively accessible stat that is based in easily understood stats that are familiar to most any baseball fan but begins to properly weight offensive contributions and correlates more strongly to offensive performance than unweighted/unadjusted stats. wOBA was invented by Tom Tango and is currently recorded by FanGraphs. wOBA measures each offensive event (e.g., base-on-balls, single, double, hit-by-pitch, etc.) separately and gives a different weight to each relative to how it correlates to actual run production for that season. It improves on OPS+ by accounting for things such as doubles not actually being worth twice a single (as it is weighted in slugging) and that on-base percentage actually correlates more strongly to run production than slugging (OPS+ treats them as essentially equal yet it’s actually almost two times as important). 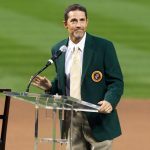 The formula is different for every season and FanGraphs provides the formula for each season. It does have the drawback of not being adjusted for park effects (so a player in a hitter’s park like Coors benefits while someone in a pitcher’s park will suffer) nor is it adjusted for league average performance (so a .370 wOBA in a low-offense era like the mid 1960s is more impressive than a .370 wOBA in a high-offense era like the late 1990s). Also, while the stat is still entirely rooted in easily measurable, “classic” stats (singles, doubles, home runs, etc. ), the complexity of the formula does make it a bit less accessible to the common fan – it’s definitely not something easily calculated on the fly. The formula does provide a result that correlates to a scale the common fan recognizes though: a wOBA of .320 is roughly average, .370 is great, .400 is amazing, etc. 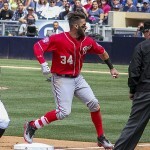 This synchronization with what we expect of “normal” OBP makes the final result itself a very accessible stat – given its complexity and strong correlation with offensive production, it really is a wonderful middle ground and all encompassing batting stat (which is why it is the foundation of FanGraphs’ WAR statistic and the wRC+ stat discussed below and here). Pythagorean W-L record/Win%: An estimate of of a team’s win percentage given their runs scored and their runs allowed. This helps to identify when a team’s won-loss record has been affected by good or bad luck. Over time, teams tend towards a .500 win percentage in 1-run games and extra inning games. In a single season though, a team that does particularly well or badly in those situations can have a W-L record that doesn’t reflect their true level of play. Pythagorean Win% adjusts for this to make it easier to recognize these situations. 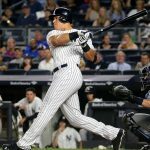 rWAR, fWAR, & WARP: Wins Above Replacement (Player). 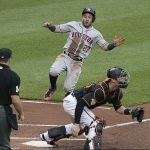 The most comprehensive – and controversial – of sabermetric stats, WAR attempts to measure all of a player’s contributions to a team’s performance by combining both offensive and defensive metrics into a single statistical measure of a player’s worth. The stat is compiled by Baseball-Reference, FanGraphs, and Baseball Prospectus, each using a different formula. 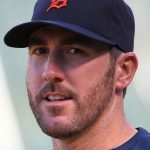 The respective stats are often referred to as rWAR or bWAR (for Baseball-Reference’s version), fWAR (for Fangraph’s version), and WARP (for Baseball Prospectus). ESPN publishes Baseball-Reference’s version. The statistic is designed to measure the contributions of a given player over a “replacement level” player. 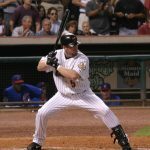 A “replacement level” player is not a specific person but a hypothetical “AAAA Player”, the sort that any team has in their minor league farm system (i.e., the guy who’s not quite good enough to make the 25-man roster but still good enough to stay at the highest levels of the farm system). 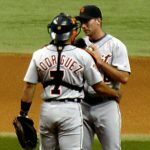 So, if we were to say that Miguel Cabrera is worth 8 Wins Above Replacement, we are not saying he’s worth that much more than the specific player who would replace him on the Tigers’ roster, but rather that he’s worth eight wins more than the “generic” replacement available to every MLB team. For a discussion of why WAR is so darn useful, see the “Why use WAR” entry on our methodology page. wRC+: Weighted Runs Created Plus. A weighted improvement on Bill James’ “Runs Created” stat that is then adjusted for park effects and compared with league average. It is expressed as a score where 100 is league average and every point above or below that is a percentage better or worse than average (e.g., a player with a wRC+ of 115 produces 15% more runs than the league average player). It uses wOBA (see above) as its foundation, so it is weighted to consider the relationship between all offensive results (e.g., doubles, home run, walk, etc.) and actual runs scored. It is then adjusted for league average for each year, allowing for easy comparison across eras. A player with a wRC+ of 150 is 50% more productive than league average whether that’s the deadball era or the PED-era. Because of this, wRC+ is perhaps the most useful single stat measuring offense, whether in a single year or across eras. Black Ink & Grey Ink: Quantifications of career “greatness”, blank ink measures how many times a player led his league in a statistical category and grey ink measures of how many times a player was in the top-10 in his league in a statistical category. Invented by Bill James, it’s a weighted stat that gives more “points” for certain categories based on their perceived importance (e.g., a player receives 4 points for leading his league in home runs but only two points for leading his league in doubles). It’s a nice at-a-glance measure of a player’s career, though it does have shortcomings. The stat favors older players from when there were fewer teams in each league (8 per league in the 1950s vs. 14-16 in recent years). Also, there are no positional weights or adjustments, so it doesn’t account for the fact that a shortstop leading his league in home runs is more valuable than a first baseman or left fielder. Still, it does provide a useful way to measure a player in the context of his era. HoF Monitor & HoF Standards: Two different measurements of a player’s overall career and how likely they are to be considered Hall of Fame “worthy.” Not necessarily a measurement of their actual value, but of how voters are likely to perceive their value. Both measures were invented by Bill James and are compiled by Baseball-Reference. You can see the method of their calculation here. The Hall of Fame Monitor is specifically designed to predict whether or not a player will be elected to the Hall (and is thus most useful when discussing active players or candidates). A score of 100 predicts a good chance for election and a score of 130 predicts the player is essentially a lock. For reference, the highest all-time score for position players is Stan Musial with a score of 452 and the highest score for a pitcher is 364 for Walter Johnson. The Hall of Fame Standards measures a players score on a series of accomplishments or milestones (i.e. standards) by which greatness is often judged. It is essentially a long checklist of the things a Hall of Famer “should” have done in his career. The average Hall-worthy player will answer yes to 50 of the 100 questions. For reference, the highest all-time score for a position player is 79 for Babe Ruth and the pitcher with the highest score is Christy Mathewson with 84. JAWS: A measurement of a player’s Hall of Fame worthiness. It stands for “Jaffe WAR Score” and was developed by Jay Jaffe for Baseball Prospectus. It works by comparing a player to the players currently in the Hall of Fame at his position. JAWS looks at the player’s career total WAR and combines it with the WAR from the player’s seven peak years. 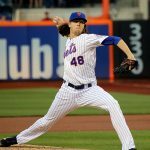 The stat does make adjustments for the statistical differences between eras. Players are classified by the position where they played the most games (so, for instance, Robin Yount is classified as a shortstop, since he played 1479 games there v. 1150 in centerfield).